We are excited to share with you our latest apparel design. It is a twist on the classic "Keep Calm And Carry On" design. We worked with artist Celia Amaya to create an original illustration of a vintage 1940's radio receiver. You can show the world your love for the amazing medium of audio drama storytelling through a design that folks are familiar with. With four shirt styles to choose from, there is something for everyone. T-shirts start at only $15! The shirt campaign ends on November 2, 2015 so reserve yours today! Thank you for helping to support ATC! 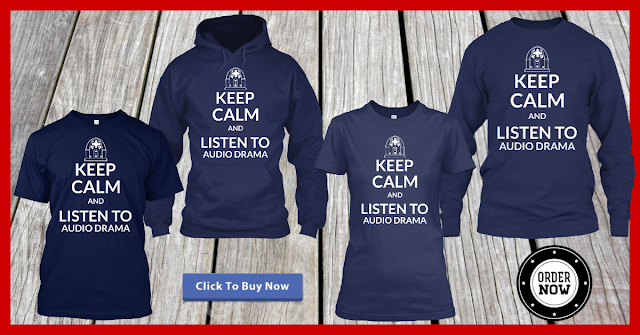 Click here to order your "Keep Calm and Listen to Audio Drama" shirt!